This month the World Animal Protection is tackling Ghost Gear by collaborating with a number of organisations and businesses to help solve this world wide problem. This is a term used to describe debris such as fishing nets that have been abandoned and absorbed by the ocean. The debris is left floating around the sea entangling marine life along the way causing great injury and even killing marine animals such as turtles, sharks and many more. This is global problem…with around 640,000 tonnes of new Ghost Gear being lost in our oceans every year! Where is Ghost Gear coming from? It is hard to identify Ghost Gear by country but research suggests countries include Australia, Taiwan, Indonesia, Korea, Japan and Thailand. What causes the Ghost Gear? The cause can be accidental from severe storms causing nets to be lost overboard or get caught amongst the reefs. But sadly it is also caused from deliberate action…if gear becomes damaged it is often seen as cheaper and easier to throw overboard than take it back to shore to repair or discard. What is being done to prevent Ghost Gear? The World Animal Protection is tackling this issues by collaborating with a number of organisations and businesses. By creating a data hub they hope to achieve more in depth research resulting in practical solutions, including net recycling schemes and tagging nets with tracking devices. Volunteers contribute to beach clear ups and restoration. Volunteers work hard to remove fishing nets out of reefs- quite a task to complete without damaging the coral or marine life within. 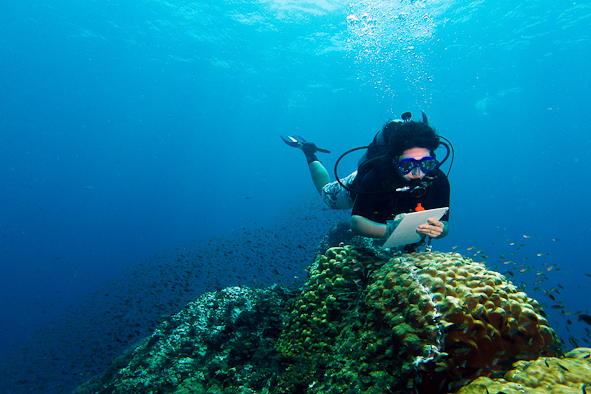 The research volunteers collect during the dives works towards government surveys and efforts to protect Thailand coasts. 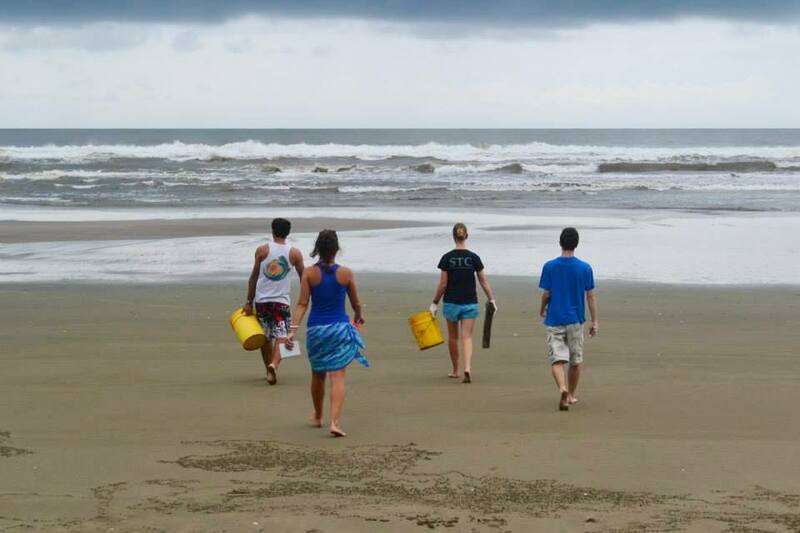 The volunteers main focus is to protect nesting turtles and their eggs- ensuring they safely make it back to the sea! But as well as working with the turtles volunteers help collect litter from the beaches making sure they are not washed into the sea. 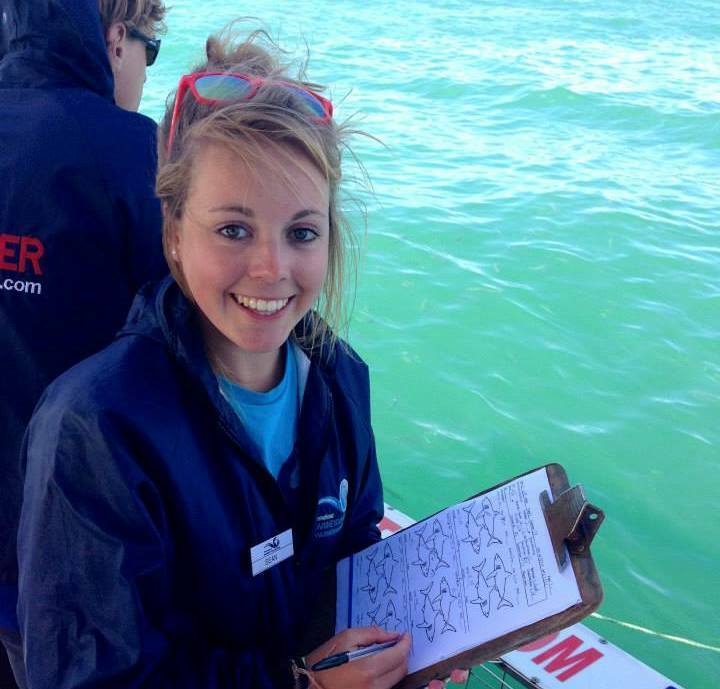 Volunteers spend their days out on the boat helping with tourist trips, observing shark behaviour and recording crucial data. 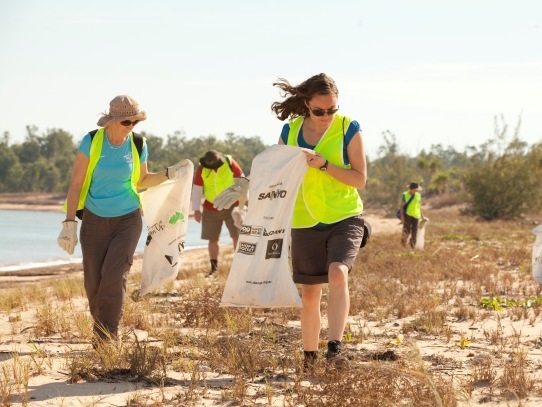 Volunteers are also encouraged to take part in additional conservation efforts such as helping with bird surveys, penguin houses and beach clean ups. Next Post Leatherback turtle nested on the Paradise Beach project!